For over the shoulder or at the waist. 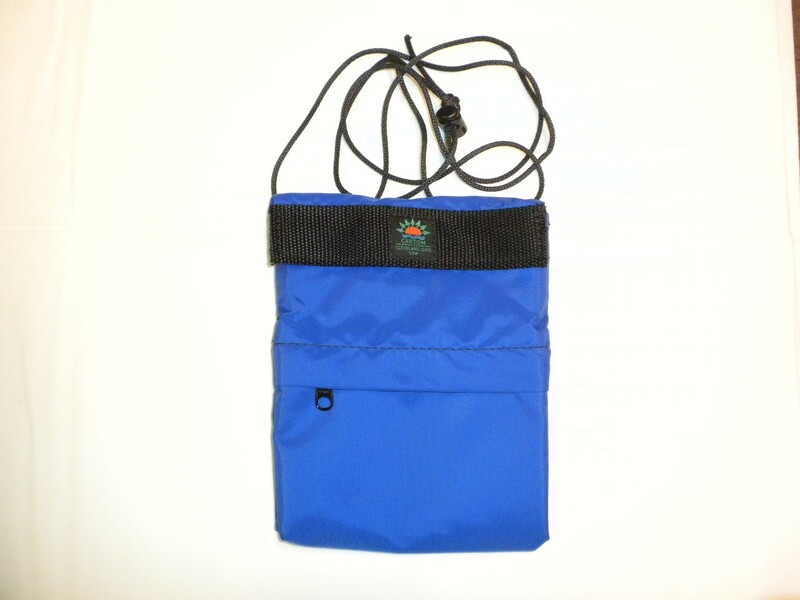 This 6"x9" nylon sack uses a hook and loop closure for the main top pocket and a zippered closure for the bottom pocket. Urethane coating on the inside and a rain flap over the zipper helps repel water. Can be worn over the shoulder with the adjustable string and cordlock or worn on your waistbelt. Large enough for guide books or for that spare camcorder battery. All colors come with black trim and string.